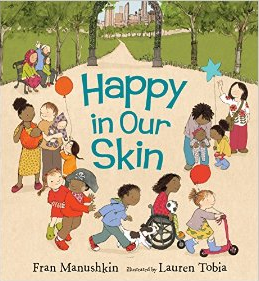 Librarians often talk about stocking the shelves with books that offer both mirrors and windows for children. When one child picks up a book, he might see a character who looks like him and experiences life the way he does, but another child reading the same book could experience the story as a window into a new culture or life experience. The goal is for all children to read books that provide both mirrors and windows so they subconsciously build an image of who and what they could be, while building empathy and understanding for the lives of others. Unfortunately in the children's book world, there are far too few stories featuring diverse characters. "Diverse books are a tiny slice of what's published," said Elizabeth Perez, a children's librarian at the San Francisco Public Library. "They've made some strides, but considering the diversity of the US, it's still very small." Perez says many children won't notice the ethnicity of a character, until they do. 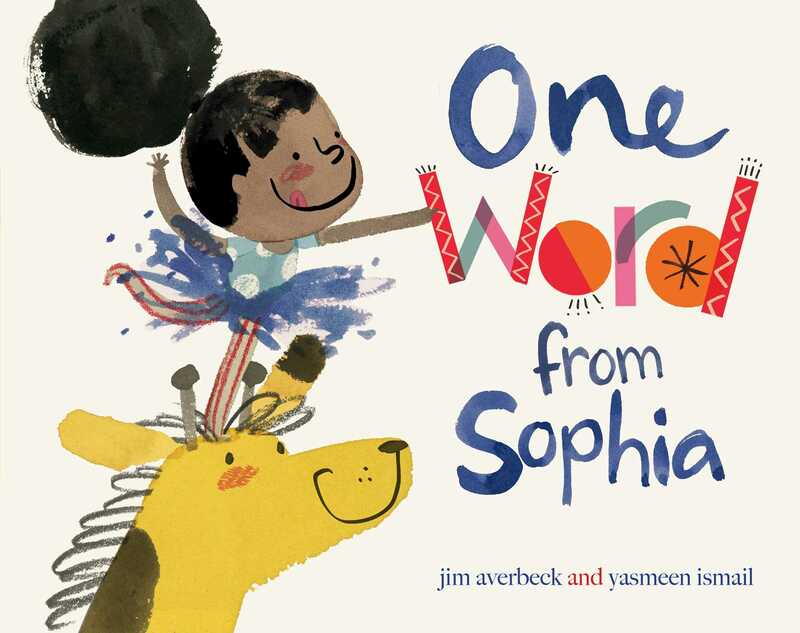 When books feature children of color and diverse families, "it's subconsciously broadening their horizons of what they can do and be," Perez said. 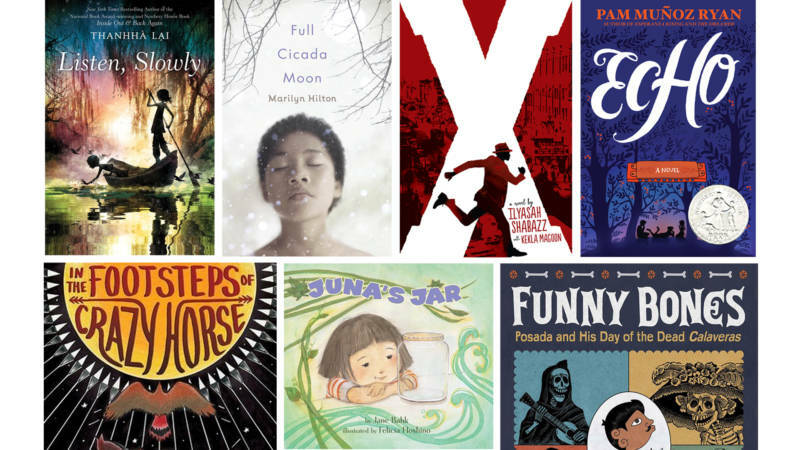 Public librarians understand that many schools have small budgets to buy new titles, so they try to make their public offerings as rich with diverse titles as possible. Some books focus on diversity and culture as central themes, but others merely feature characters of color doing the same exploring, playing and adventuring as any other children's book character. "We want to make sure all the children and families in our diverse community can see themselves reflected in the books they borrow from the library," said Lyn Davidson, program manager for the main San Francisco Public Library's Children's Center. "We also want to offer everyone in our community the chance to broaden and deepen their ability to empathize and identify with people from backgrounds very different from their own." Perez and her colleagues shared their top 20 children's books published in the last couple of years. This picture book for young children shows lots of different types of families hanging out in a park. Young children of different religions and ethnicities are enjoying a day in the park and while they may look different, each child eats, plays, and falls down. “It's a very simple representation of diversity," Perez said. 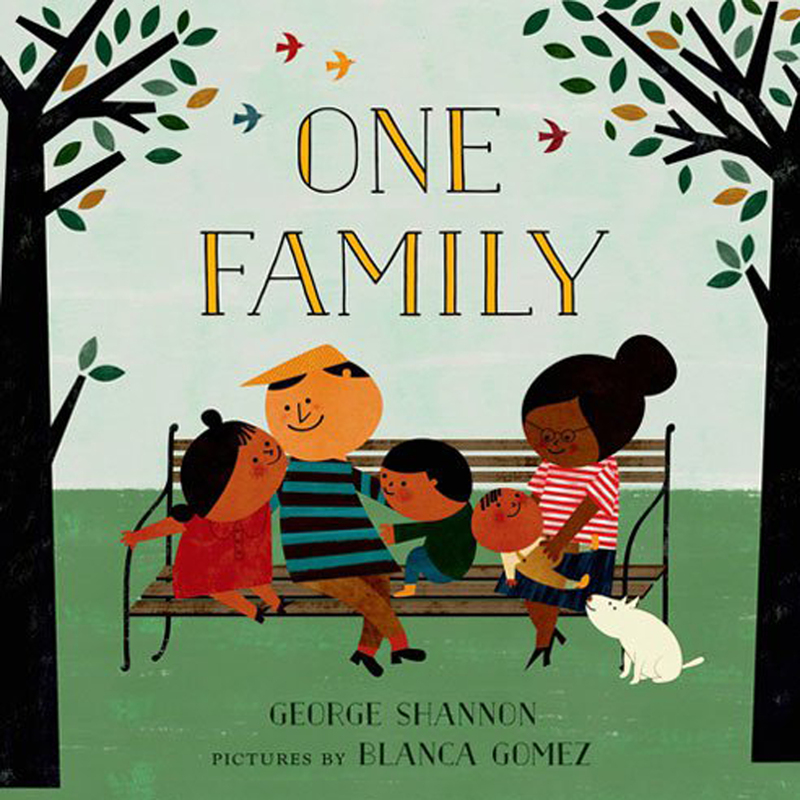 In a riff on the traditional counting book, One Family adds a different family member on each page, showing that families come in many forms and often include far more people than a mother and father. This books is a great way to start talking numbers with young kids, while also reflecting the increasing diversity in family structure kids experience. Perez especially enjoys the illustrations, which she calls "retro" and less cartoony than many books for young kids. 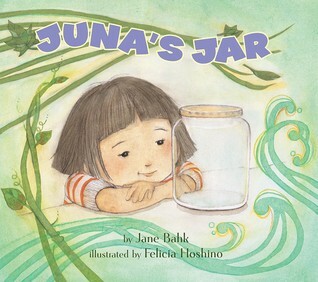 Juna's Jar is as story of friendship and fantasy. When Juna's best friend Hector moves away without saying goodbye she is very sad. Her older brother helps her add items to the family's empty kimchi jar every night and when Juna falls asleep, the items she added come to life in her dreams, helping her search for Hector. Perez says the illustrations are endearing and the kimchi jar is a central image. "It would be normal in a Korean family and it just sort of throws that in there," Perez said. "It’s about dreams and hope and friendship." In this silly picture book about a young girl who wants nothing more than a pet giraffe, the author subtly demonstrates people of color in positive roles. The story is ostensibly about Sophia and the "magic word" she needs to use to get her way, but as she travels from one family member to another begging for a giraffe the reader sees an educated family. “It shows positive roles for families," Perez said. "It represents that families can be different and diverse, but cultured and educated, which is lacking in other books." She often recommends this book to library patrons with good results. 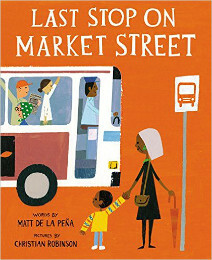 This sweet picture book about a boy traveling across a city with his grandmother on a public bus holds many lessons of compassion. As they ride the bus, the grandmother points out different sites to her grandson and demonstrates kindness to everyone. The reader is lulled into making certain assumptions about the pair that are upset by a twist at the end. This biography about a Ghanaian boy born with one leg less developed than the other is a testament to determination. 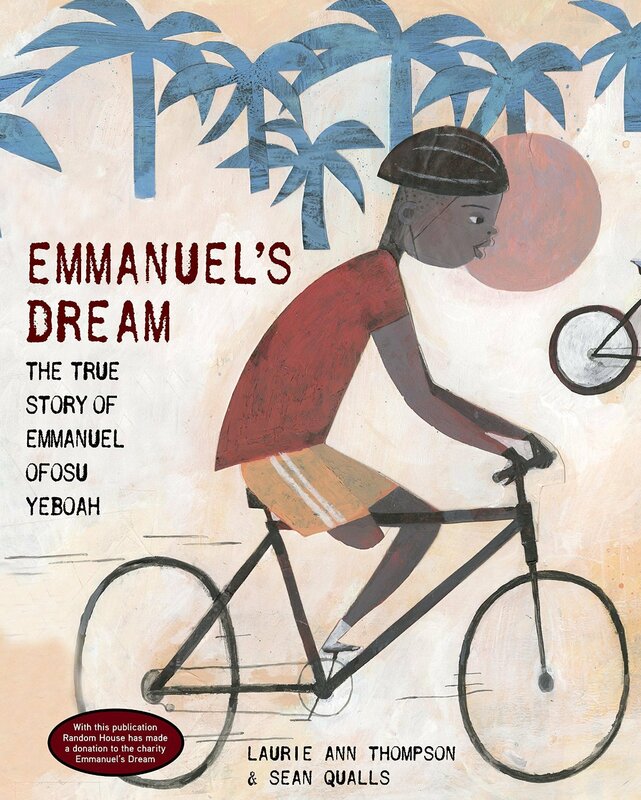 Emmanuel works very hard to overcome people's judgments about him and ends up taking care of his family when his father disappears. He even goes on to become a professional athlete. “It’s very picture story style, but it’s biographical," Perez said. 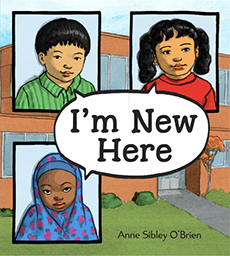 This is the story of three newcomer students starting school at the same time. One is from Guatemala, another from Somalia and the third from Korea. In the first weeks at their new school they feel very isolated and confused. They knew the language and how everything worked in their home countries, but at the new school everything is different. Slowly, they begin to connect with classmates in nonverbal ways and make their classroom a new home. "This one could be a perfect window for a child seeing a new student coming in," Perez said. It could help children empathize with some of their classmates and understand what they might be feeling. 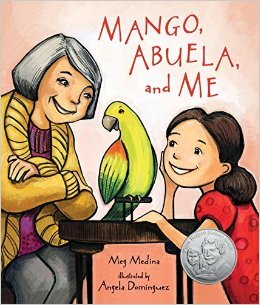 This picture book features a Latina girl whose grandmother has just come to live with the family in the United States. The little girl does not speak Spanish and her grandmother doesn't speak English, so they struggle to communicate. The girl wants to help cheer up her grandma, who is having a hard time adjusting, so the family gets a parrot to remind the old woman of her island home. The parrot ends up being the go-between for the little girl and her grandmother. 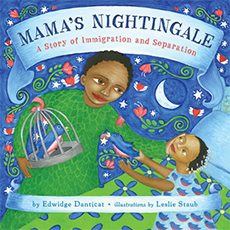 This children's book by well-known novelist Edwidge Danticat raises some sad and serious issues through story. A little girl is writing letters to her mother who is being held in a detention center. “She uses those letters and notes that she wrote to her mom to convince the judge to let her come home," Perez said. And, while the subject matter is serious, Perez says often children are much more capable of understanding and empathizing than adults think. Stories can be a great way to give kids a glimpse at a sad topic, but Perez always recommends parents or guardians read the book themselves first before deciding whether it's right for their child. 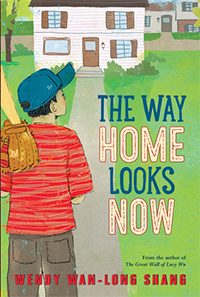 “I love this book because the author has a very particular illustrating style," Perez said. "His images look like ancient Mexican art." 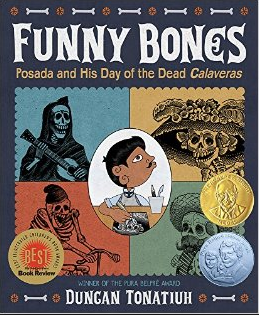 This non-fiction book for slightly older readers focuses on the life story of José Guadalupe Posada, whose drawings of skeletons have become identified with the Mexican Day of the Dead iconography. The book incorporates both illustration styles for a beautiful result. 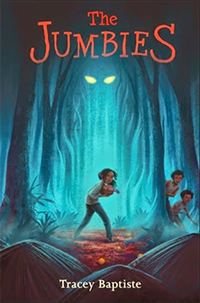 This spooky fantasy book rooted in Caribbean folktales features a young girl trying to save her island from ghost-like entities called "Jumbies." 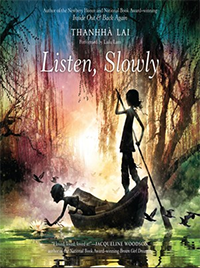 Perez says children this age love fantasy and this book is a slightly different take on a familiar genre. "I love that she’s a great protagonist; a very awesome example of a strong female,” Perez said. This is the third and last book in Rita Williams-Garcia's series about three sisters living in Brooklyn. In the first book the sisters go visit their mother in the summer during the Civil Rights Movement. They learn why their mother left them, meet some famous Black Panthers and generally get a taste of Oakland in the 1960s. The second book focuses on how the sisters deal with the new woman their father marries. 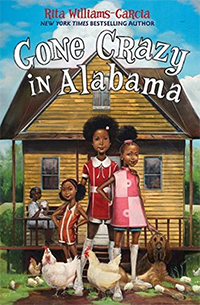 And the third book, Gone Crazy in Alabama, features the three girls visiting their grandmother in Alabama during the Civil Rights era. They learn about feuds in the family and just how strong family bonds can be. “I have two sisters so I could relate to it," Perez said. "It’s about how sisters fight and get along in the end." She loves the way Williams-Garcia captures characters' voices and layers family dynamics throughout the story. 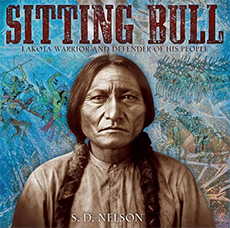 Sitting Bull : Lakota Warrior and Defender of His People, by S. D. Nelson. 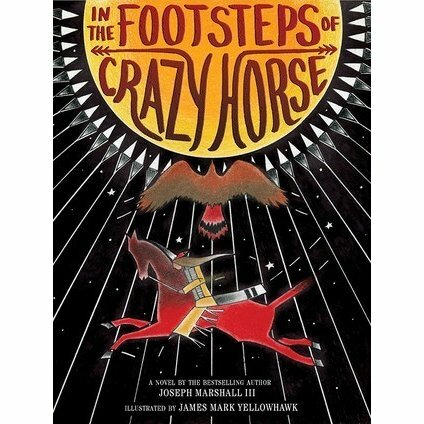 This book about the famous Lakota warrior seems like a perfect book report choice, but Perez says it goes far beyond educational content. The pages inside look like a notebook, as though someone is documenting Sitting Bull's story in real time. Perez says it reminds her of Native ledger art. "It’s a mixture of sketching, photographs and text that appeals to lots of different ages," Perez said. 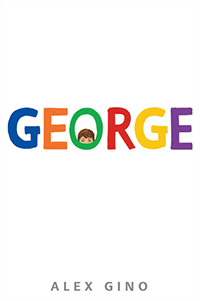 George is a timely book dealing with a different kind of diversity -- the experience of a transgender student in school. “It’s the perspective of soemone going through something we may not understand," Perez said. George identifies as a girl and refers to herself in the story with feminine pronouns, while everyone else refers to her as a boy. The written word is uniquely suited to spotlight the differences in pronouns and George's fight to be recognized for who she is. “It’s just an introduction to compassion and empathy for people who are struggling with internal issues that we may not understand,” Perez said. Peter Lee's family used to be obsessed by baseball before tragedy struck. Now, his mother is depressed and no one seems to pay attention to baseball anymore. In an attempt to heal his family, Peter joins a team and his dad becomes the coach. This Chinese-American family has to navigate dynamics with mostly white players, including a girl disguised as a boy (the story takes place in 1972). While baseball doesn't solve all Peter's family's problems, it does help them see that there's hope after at tragedy. "Baseball lovers will love it, but it’s not the only thing going on in there," Perez said. A typical, spoiled American girl is forced to visit Vietnam with her father and grandmother over the summer. While she dreams of being on the beach with her friends, her father and grandmother are trying to figure out what happened to her grandfather during the Vietnam War. As she delves into the story of her grandfather she learns to accept the Vietnamese part of her identity alongside her American one. Perez loves this book because it demonstrates the insights teens can come to on their own. While it sounds serious, she says it's actually funny and lighthearted in many ways. Set in Vermont in 1969, 12-year-old Mimi is obsessed with the Apollo 11 mission getting ready to launch. 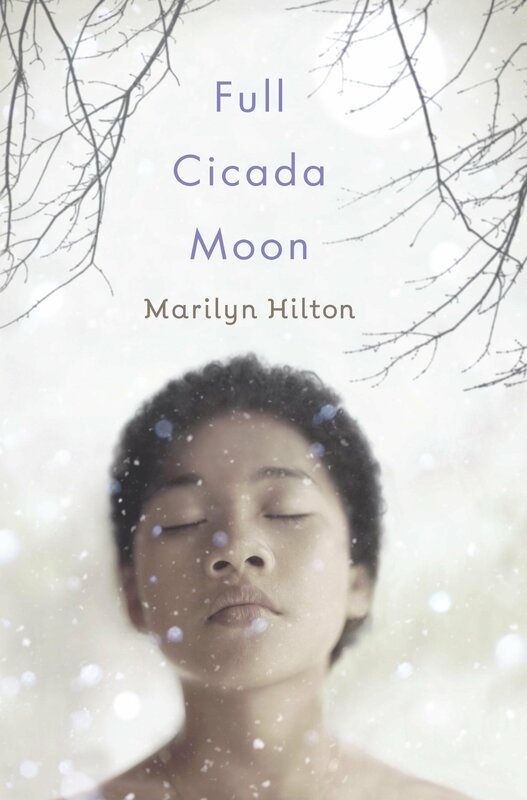 As a half black, half Japanese girl, Mimi identifies with space, often feeling like an alien in her mostly white town. She's also really into science at a time when girls aren't supposed to like science. "What's really interesting is it’s written in lyrical verse," Perez said. “Echo is one of the craziest books I read this past year," Perez said. "It’s an amazing story that just blows you away." 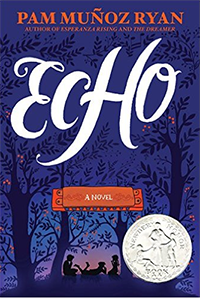 Part fairytale, part historical fiction, Echo weaves together four or five different story lines, each connected by a harmonica. The stories are diverse, featuring a family in Nazi Germany during World War II, a Mexican-American family caring for the orchard of a Japanese-American family that has been sent to internment camps and adopted brothers whose fortunes change. The audiobook has also gotten rave reviews for featuring harmonica music throughout. This is a coming-of-age story about a boy who is half-Lakota, but doesn't look it. He learns about his heritage through his grandfather's tales. This story is written by a member of the Lakota tribe. When Perez asked teen librarians for their recommendations from this year, X kept coming up. 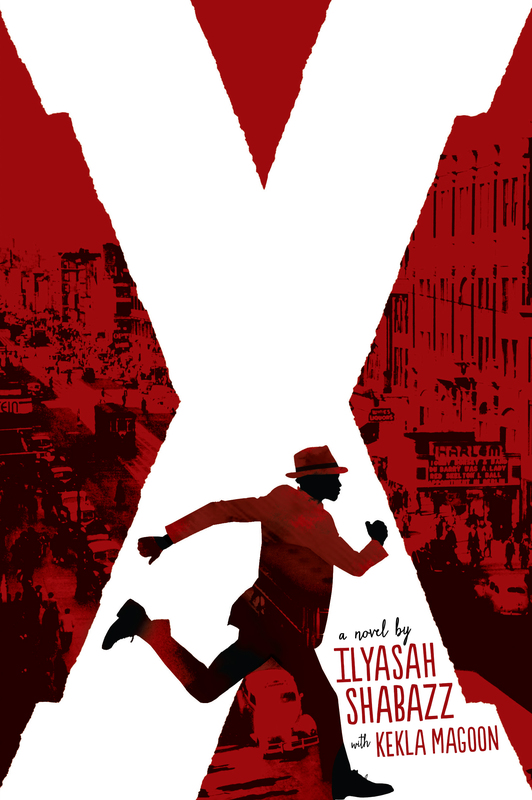 A fictionalized account of the early life of Malcolm Little, who grew up to become Malcolm X, this story is written by Malcolm X's daughter. “It’s been getting a lot of really cool buzz," Perez said. She cautions that because it is a book for teens, it has some heavier language and themes.